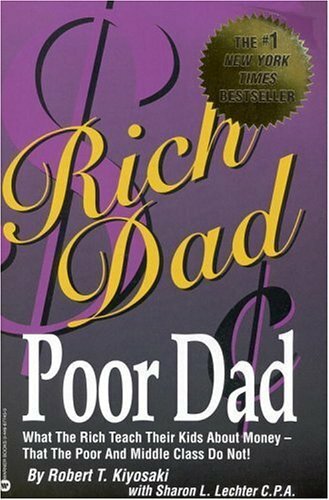 Taking the message that the poor and middle class work for money, but the rich have money work for them to heart, personal-finance author and lecturer Kiyosaki and CPA Lechter lay out a financial literacy philosophy based on the principle that income-generating assets always provide healthier bottom-line results than even the best of traditional jobs. Used Good (65 available) Shows some signs of wear, and may have some markings on the inside. 100% Money Back Guarantee. Shipped to over one million happy customers. Your purchase benefits world literacy! Used Good (4 available) Former Library book. Shows some signs of wear, and may have some markings on the inside. 100% Money Back Guarantee. Your purchase also supports literacy charities. Used Good (4 available) Shows some signs of wear, and may have some markings on the inside. 100% Money Back Guarantee. Your purchase also supports literacy charities.